Catalina Coffee and Cars is a very low-key event given the high dollar, high power scene that usually prevails in the city of humidity. There's only street parking, it's not in a glamorous part of town with multi-million dollar condos surrounding on all sides, and the average age of the cars in attendance is older than the average age of the owners that brought them there. In short, it's everything that I find fun about attending car shows. The first of many, many cars that caught my eye at this relatively small meetup was this well-maintained Space Shuttle of a Subaru. The SVX, only sold from ‘92 to ‘97 in the US, keeps its stock flat-six AWD drivetrain, but has been swapped with a manual transmission for more fun behind the wheel. I can count on one hand the number of SVXs I’ve seen in my entire life, so this was a joy to witness. After speaking with the SVX owner, his brother rolled up in this mint condition W123 Mercedes Benz 240D. The two-tone paint is immaculate (a challenge on a 40 year old car), and the swapped euro bumpers and slight lowering do wonders for it. 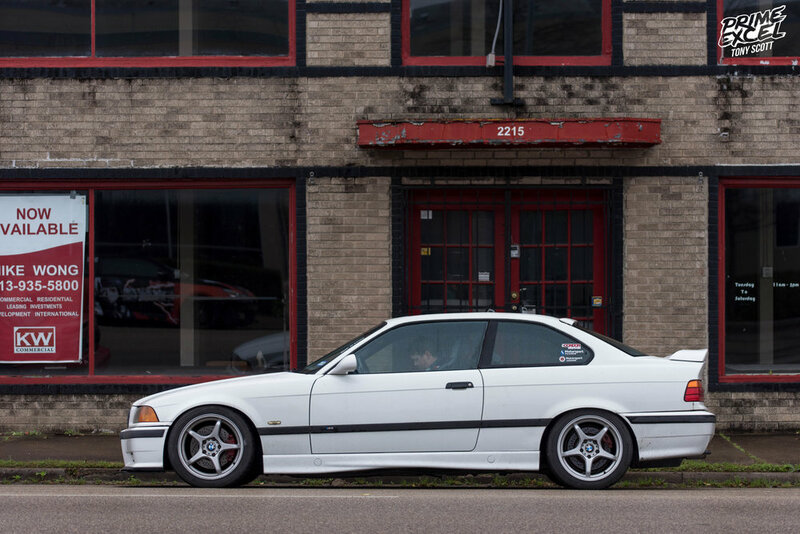 Keeping with the theme of impressive Germans, this E36 M3 sported bucket seats, harnesses, and what appeared to be a very track-ready suspension and tire package. What kind of Houston car meet would it be without a few Supras? The silver JZA80 was a recent import from Japan that the owner is enjoying in stock form. The Advan MK3 is yours truly’s autocross and drift toy, as well as my daily driver. Neither of these Supras are built to grab headlines on 1320Video or stun the crowd at TX2K. We own them to make ourselves happy experiencing a bygone era of motoring. Granted, even the smallest Houston meets are not without their collector spottings. A trio of air-cooled Porsche 911s did come to join, and they also ran the gamut of styles. The OEM fresh 930 still sports US-spec impact bumpers, the Outlaw-esque silver 930 rocked mismatched panels and matte Fuchs, and the 993 Carrera 4S was hands down the most coveted and rare car at the entire meet. This was definitely one of the most fun and welcoming meets I’ve been to in a while, and the mix of cars made it possible to get a taste of many different styles and owners. Houston hosts many larger, more glamorous, higher dollar shows, but I think I prefer hanging out at the coffee shop with some friends who just came for a good chill time.